"This is an oh-so-good recipe. Just the right amount of spice to make you take a cold drink but definitely keep coming back for more! This soup is irresistible!" 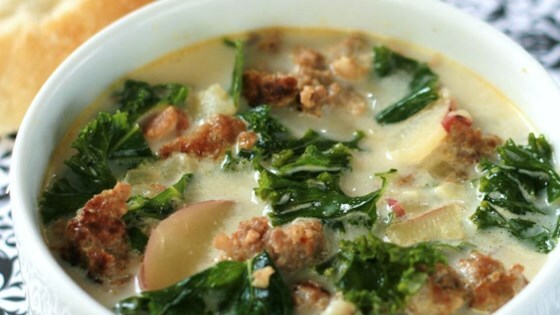 A rich soup made with sausage, potatoes, fresh spinach, and cream. This is my favorite soup! Instead of heavy cream I use milk with about 3 tbsp cornstarch. And instead of spinach, I use kale. This soup freezes great, too! Wonderful!